D: They’re all different colours! This entry was posted on Wednesday, March 20th, 2013 at 7:16 am and is filed under Uncategorized. 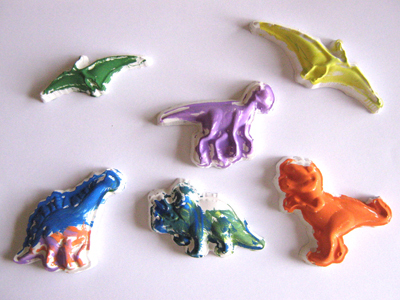 Tagged: color, colorful, colors, colour, colourful, colours, dinos, dinosaur, dinosaurs, Paleontology, plaster, plaster of paris, pterodactyl, Stegasaurus, Triceratops, Tyrannosaurus Rex, Vertebrates. You can feed this entry. You can leave a response, or trackback from your own site.